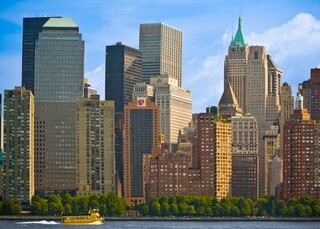 Find huge deals in New York Area Ny, United States that you may book now & pay later! Best prices for in New York Area Ny, United States. A dream vacation for you and your family, guaranteed by our travel consultants. For members-only deals, we recommend using the new filter for deals in New York Area Ny, United States. Set in a prime location, a mere 4 km from Newark city centre, with a wide choice of restaurants and bars within 1.5km, as well as the public transport network. 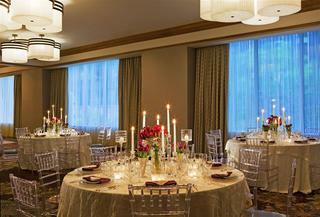 The hotel is only 12 km from Manhattan, with Newark airport 6 km away and 50 km from JFK airport. With its 86 rooms spread over four floors, this hotel has facilities and amenities such as a foyer with a 24-hour reception desk, hotel safes, comfortable meeting rooms, the beautiful breakfast hall, lift access, and parking. Overlooking East River and the impressive 59th Street Bridge, this elegant boutique style hotel is situated just off the vibrant centre of Manhattan, offering an oasis of tranquillity yet close to many of the major attractions of New York City. Rockefeller Center, Chrysler Building, Central Park, Broadway, Grand Central Terminal and the luxury shops of 5th Avenue and Madison Avenue are just a short stroll away. 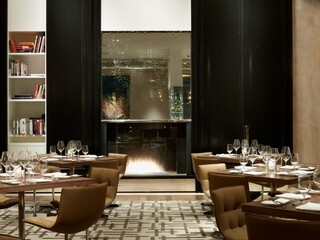 It's all about location in NYC and New York Hilton Midtown places you right in the heart of the action, within walking distance of a multitude of famous attractions, including Central Park, Radio City Music Hall, MOMA, and Broadway. . An early departure fee of half of one night's room and tax will be billed in the event guests do not utilize all nights originally booked. Guests may change their departure date upon check-in without penalty. 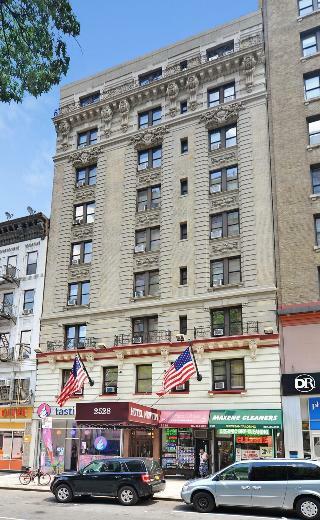 Conveniently situated in Manhattan's Upper West Side, this hotel is just steps from the 96 Street-Broadway Subway Station. A great selection of restaurants and bars are to be found in the local area and it is a short distance to a range of shopping venues. Central Park West is within a 10 minute walk from the hotel. The Lincoln Centre for the Performing Arts is 2.5 km away. With its unobtrusive elegance and perfect location in Gramercy Park, this boutique hotel is an excellent choice for a stay in New York City. A large variety of restaurants and bars can be found in the immediate vicinity, both the attractions of Midtown Manhattan such as the Empire State Building or the Chrysler Building and Lower Manhattan with Greenwich Village are within short walking distance. 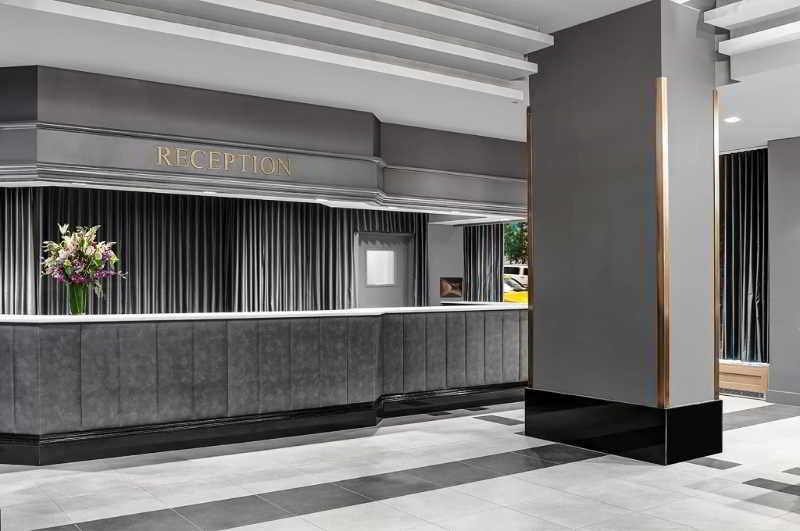 The New York Marriott Downtown, ideally located in the heart of the New York Financial District, is just minutes from Wall Street, the World Financial Center, and the New York Stock Exchange. The nearby waterfront is a great place to experience shopping, great restaurants and the Maritime Musuem. 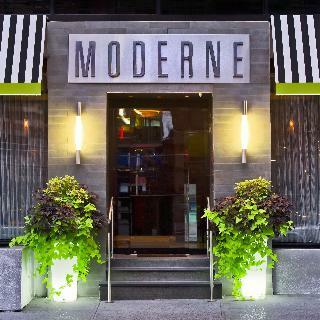 Enjoying a spectacular view from its terrace, this modern hotel is conveniently situated on Broadway in the heart of the Theater District and just steps away from the famous Times Square. Central Park, the Museum of Modern Art, Time Warner Center, Rockefeller Center, the Metropolitan Opera House, Gershwin Theater, Carnegie Hall and Ed Sullivan Theater are within walking distance. 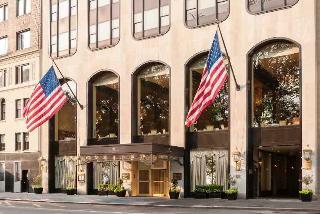 This legendary hotel is located in the heart of Midtown Manhattan at the intersection of 50th Street and Madison Avenue, just steps from St. Patrick's Cathedral, Rockefeller Center and Saks Fifth Avenue. Countless shops and entertainment venues, bars and restaurants are to be found in the vicinity, as well as nearest public transportation link. 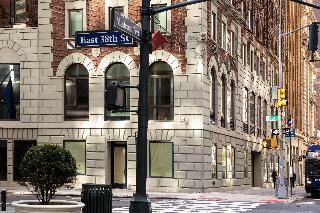 The hotel's prime location on Madison Avenue affords guests the ability to easily experience all that New York has to offer. 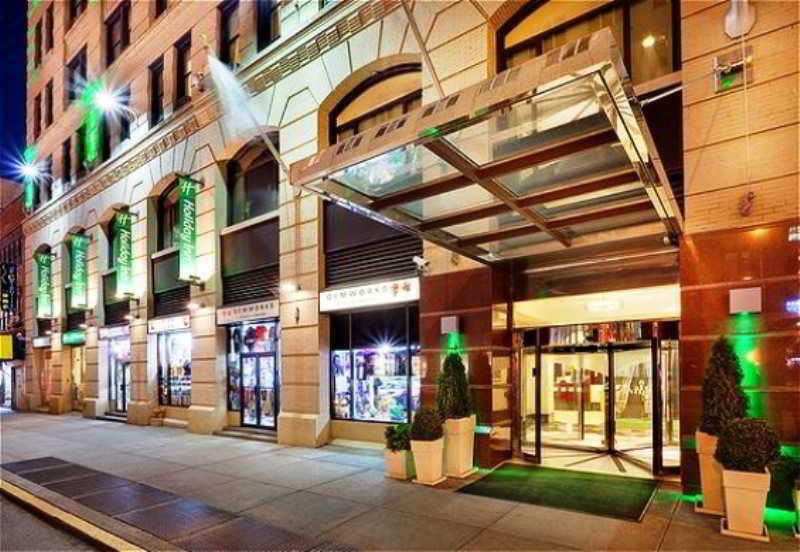 This charming luxury hotel is excellently located in the heart of Midtown Manhattan, just a few steps from many of the most famous attractions of New York City. Central Park, the Museum of Modern Art, Radio City Music Hall, Rockefeller Center, Time Warner Center, Metropolitan Opera House, Times Square, the Broadway Theater District and Grand Central Terminal are just a short stroll away. 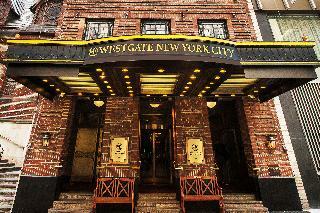 Close to the theatre district and the Radio City Music Hall, this luxury hotel enjoys a privileged location. 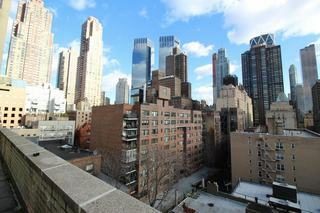 Times Square and Central Park a few blocks away and the possibilities for shopping and entertainment are endless. Public transportation is right outside the hotel. 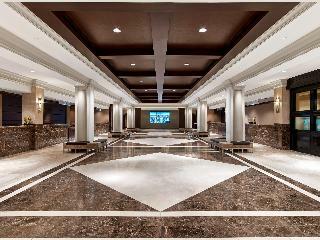 In the lobby, a 24-hour reception desk, lifts, safe, and cloakroom. 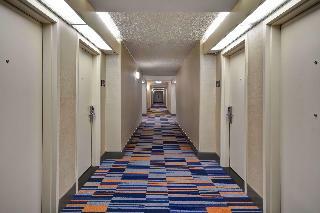 Internet, room and laundry services are available, and car parking is available outside. 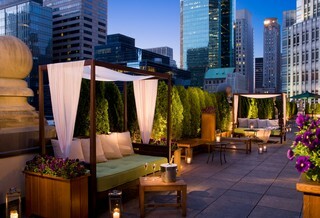 Situated in the heart of Manhattan, this delightful hotel combines Italian-style elegance with Art Deco charm. 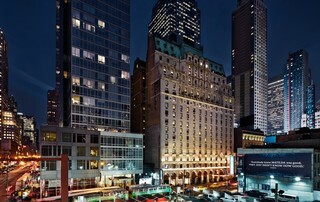 Ideal to explore the “city that never sleeps” on foot, famous attractions such as Grand Central Terminal, Empire State Building, United Nations Headquarter, Times Square, the Broadway Theater District or the exclusive shops and art galleries of 5th Avenue and Madison Avenue are within walking distance. 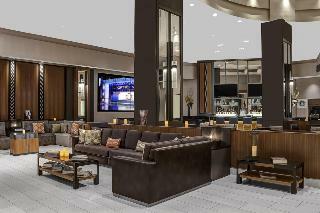 The Hilton New York JFK Airport hotel is set in an ideal location, convenient when visiting New York. 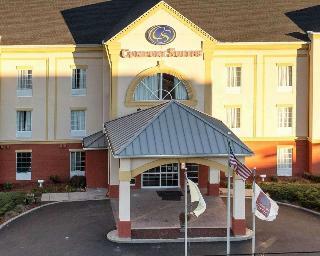 Just 1/4 mile from JFK International Airport, this New York hotel is suitable for both a quick business stop over and a long family vacation. An early departure fee of $75.00 (fee subject to change) will be billed in the event guests do not utilize all nights originally booked. Guests may change their departure date upon check-in without penalty. 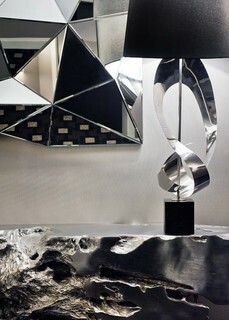 The soaring waterfall in the lobby soothes the senses, a perfect backdrop for a business meeting or romantic getaway. Amazing that you can be in Chelsea or the Fashion District in just minutes. 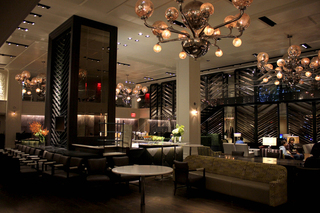 The James New York - NoMads location is ideal for all your New York City plans! Early departures will be charged the full amount of original reservation. No name changes allowed. 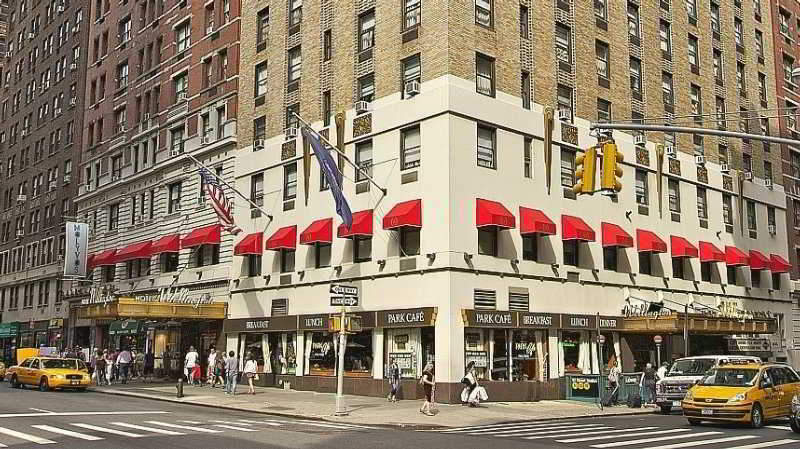 Situated at the corner of 42nd Street and 2nd Avenue, the hotel is by the historic neighborhood of Tudor City and boasts a 1931 historic neo-gothic tower. Contrasting the traditional architecture, the interior is a modern space with a color palette of blues, browns and pinks accented with boutique-style furnishings. Walk for only a few blocks before reaching some of the most famous attractions of the city including the Chrysler Building, the Empire State Building, and Times Square. 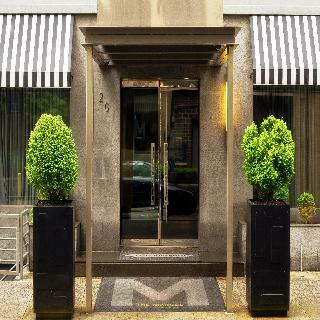 This hotel is located in the heart of Midtown Manhattan on a quiet street in the Murray Hill Historic District. 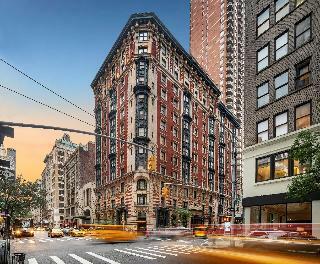 In the hotel's vicinity, guests will find Park Avenue, Times Square and the Empire State Building, Gramercy Park, The Flatiron District, Chelsea, Greenwich Village, and more, all within walking distance. Guests are also only steps away from bars, restaurants, shopping opportunities and public transportation. 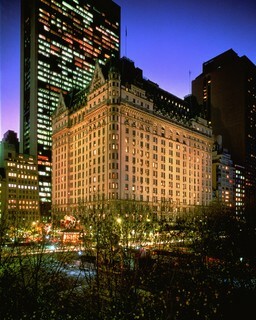 This hotel enjoys an ideal location on Central Park. 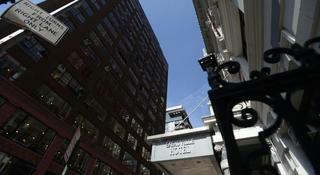 The hotel is minutes from Broadway and within a 15-minute walk from Times Square. 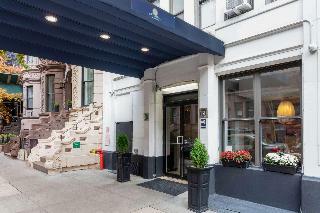 This hotel is within easy walking distance to Carnegie Hall, Lincoln Center, Broadway, Fifth Avenue, New York City's "Museum Mile," and Central Park. In the immediate vicinity are an array of restaurants, bars, shops, and other entertainment venues and a public transport stop is located directly in front of the hotel. 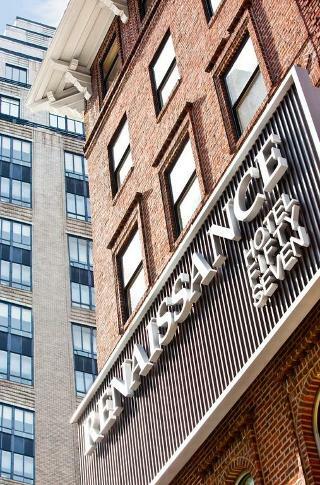 Renaissance New York Hotel 57 is located in the East Side of New York, N.Y. Subways are two blocks from the hotel, along with the famed department store, Bloomingdales. Fifth Avenue is three blocks from the hotel and is home to designer shops such as Cartier, Gucci and Versace. Situated in the very heart of Manhattan, this luxurious hotel is just steps away from Grand Central Terminal and the Chrysler Building. Perfectly situated to explore the “Big Apple”, famous attractions such as the Empire State Building, Park Avenue, the excellent shopping facilities and art galleries of 5th Avenue and Madison Avenue or Madison Square Garden, home of the New York Knicks basketball team are within a short stroll.